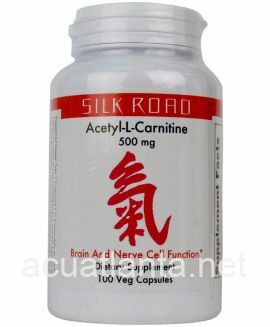 Myrrh Tablets, also known as Mo Yao Huo Xue Pian disperses static blood, alleviates pain, and nourishes blood. 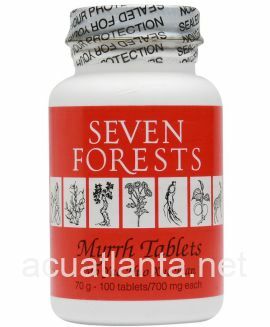 Myrrh Tablets is recommended for those with pain, inflammation, and swelling. 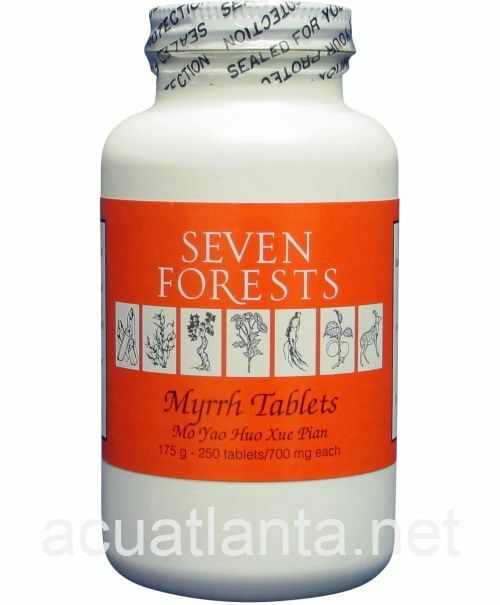 Myrrh Tablets by Seven Forests is a Chinese herbal formula is used to disperse static blood. 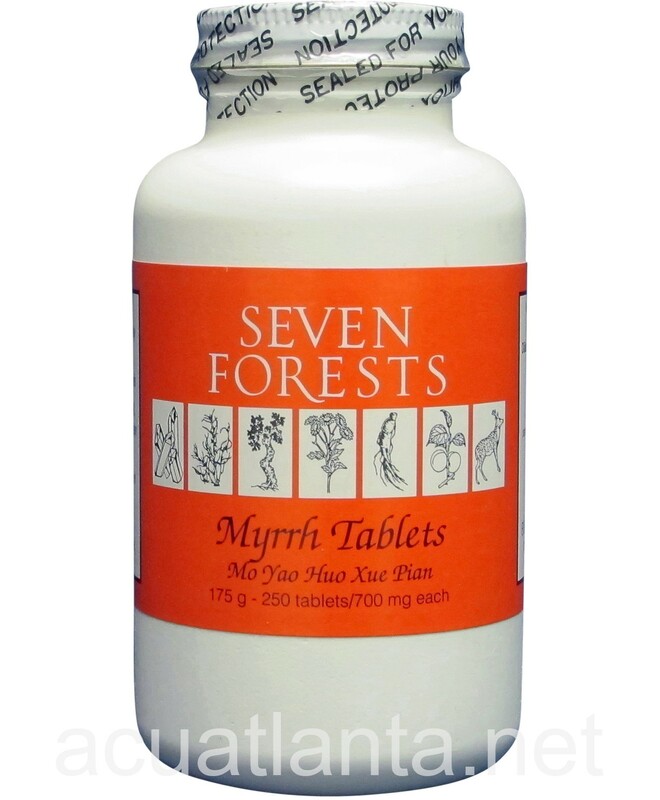 Myrrh Tablets product is available only from licensed healthcare professionals. 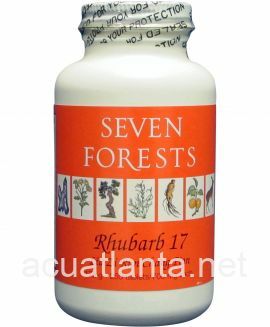 Buy Myrrh Tablets Online here at AcuAtlanta.net or our clinic. 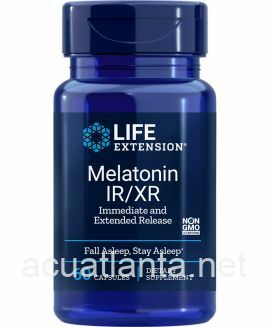 This product is used for our dog. 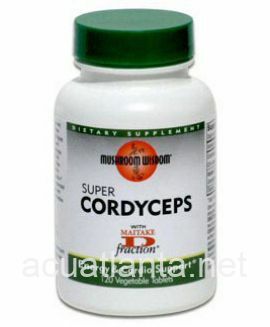 It does seem to help his arthritic hips. 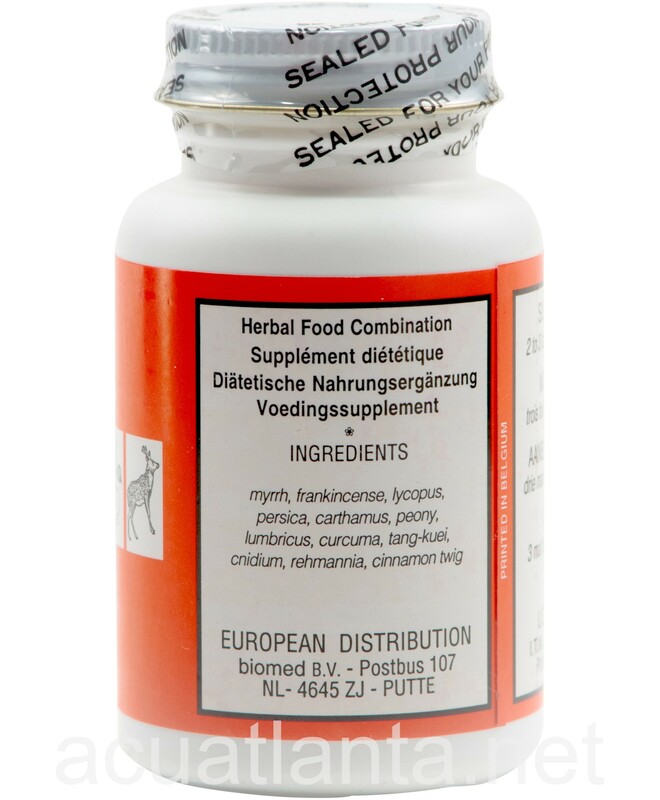 I use this product as an anti-inflamatory for my dog who has arthritis. 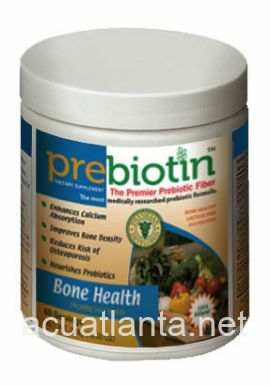 I am not sure if the condition can be improved, but maintaining current health is my objective. 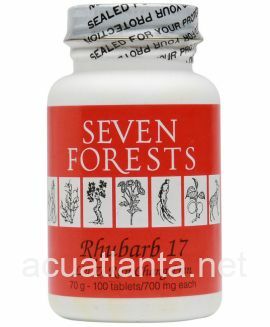 She tolerates the herb well and I have not noticed any adverse side effects. 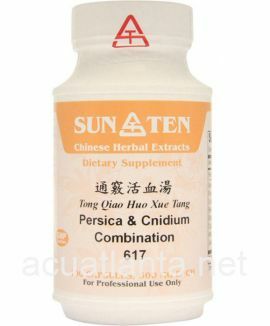 Customer who purchased Myrrh Tablets 250 tablets online also bought the following products which may be of interest to you.